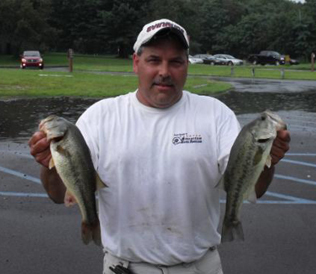 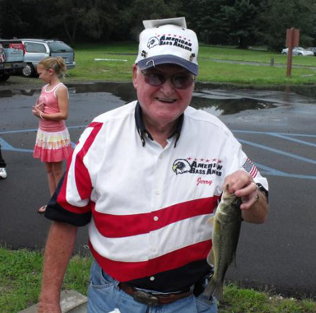 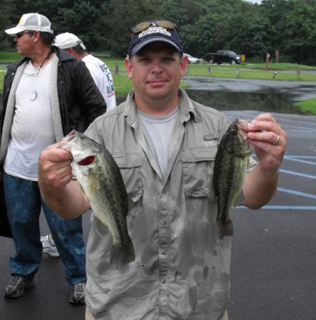 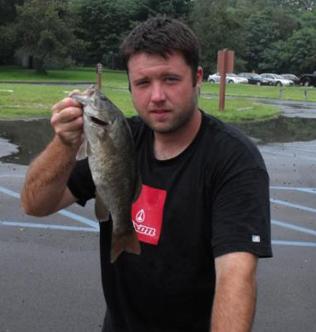 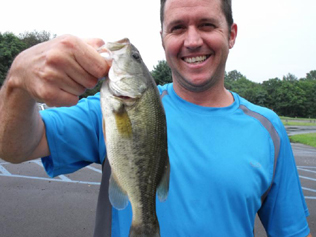 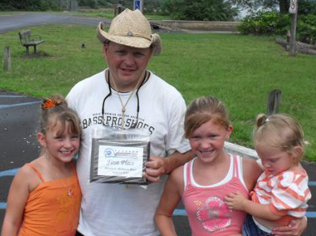 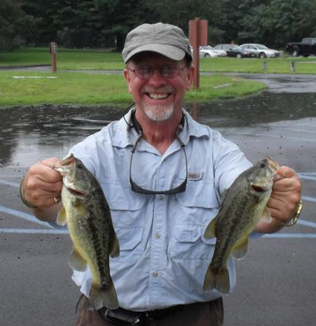 From Division 9 in Eastern Pennsylvania August 9, 2009.... Tim Kelley from Levittown PA is one step closer to the ABA National Championship with a 1st Place win and $434.00 in the American Fishing Tour bass tournament held on the Delaware River this past weekend. 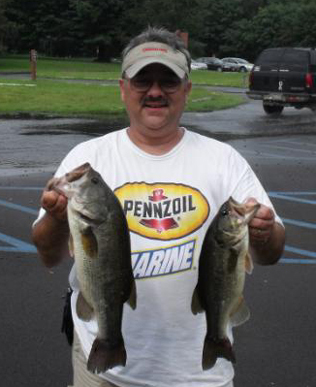 Tim�s 4 bass limits weighed in at 7.24 pounds. 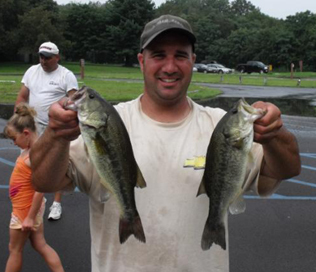 Second place went to Chris Dalfonso with a weight of 6.80 pounds, third place was Randy Iorio with a weight of 5.93 pounds. 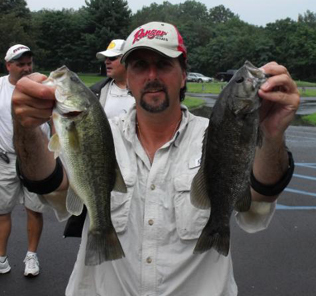 Big bass was awarded to Randy Iorio for catching a 3.87 pound large mouth. 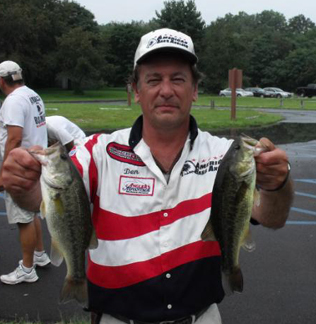 With our 2 day finals two weeks away, the Angler of the Year race is very close with 5 anglers within 10 points of our current leader Jeff Warner Jeff says he wouldn�t want the race to be any other way. 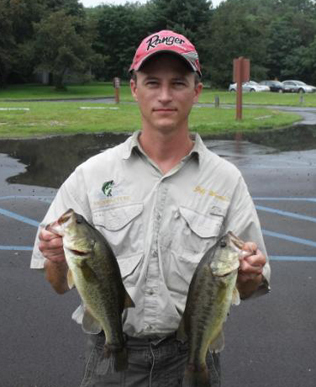 We have a lot of quality anglers in this division and he plans on taking the finals 1 day at a time. 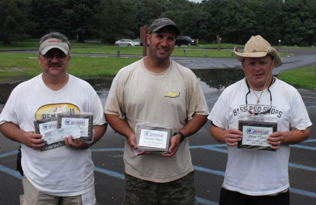 These anglers are acquiring valuable points to ensure their birth in division�s two-day championship and the American Fishing Tour National Championship that will be held this fall. 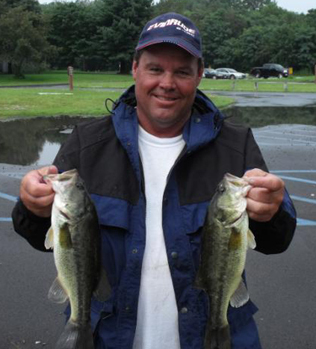 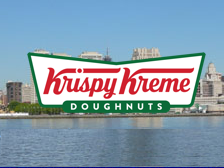 Heavy rain for the first half of the day followed by clouds and temps in the mid 80�s. 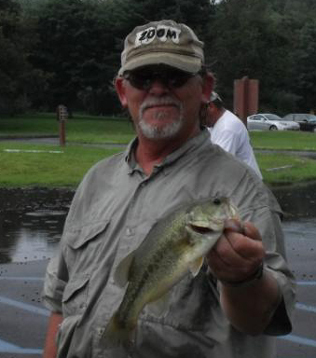 The rain caused many of the creeks to become muddy in a hurry After a few days of rain the water was stained with visibility of less than 2 ft.
Tim caught his fish down river off walls and rock near grass.